Pandora Won't Load On My iPhone! Here's The Real Fix. You are at:Home»iPhone»Apps»Pandora Won’t Load On My iPhone! Here’s The Real Fix. Pandora isn’t working on your iPhone and you don’t know what to do. Pandora is the go-to music streaming app for many iPhone users, so it’s frustrating when the app won’t work properly. 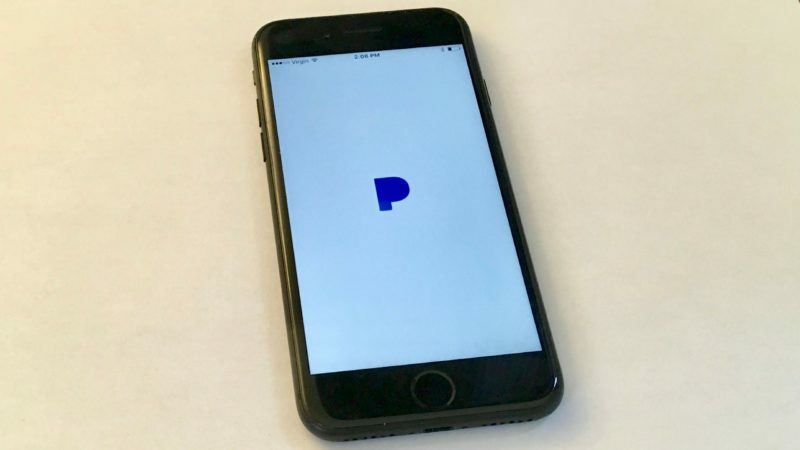 In this article, I’ll explain what to do when Pandora won’t load on your iPhone so you can get back to listening to your favorite music. Restarting your iPhone allows all of the programs that operate your iPhone to shut down and start over again. 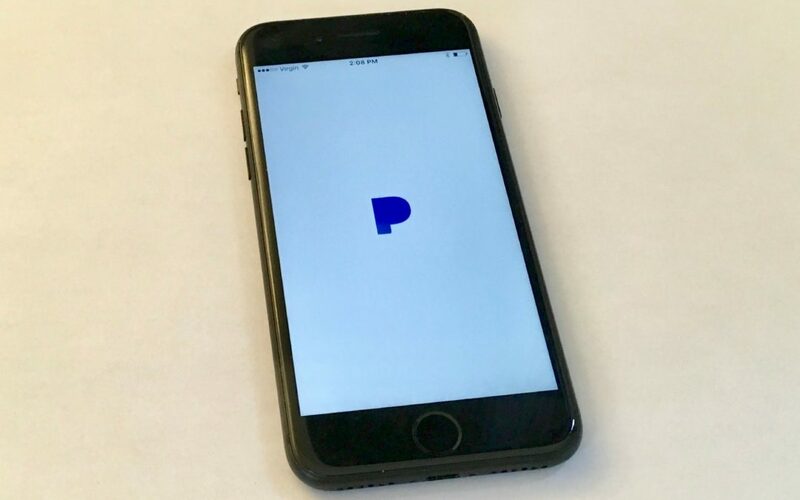 Sometimes, turning your iPhone off and back on can resolve a minor software issue that could be causing the Pandora app to not work properly. To restart your iPhone, press and hold the Sleep / Wake button, which is also known as the power button. After a few seconds, the words Slide to power off and a red power icon will appear near the top of your iPhone’s display. Swipe the red power icon from left to right to turn off your iPhone. Wait about half a minute before turning your iPhone back on, just to make sure all the little programs have enough time to completely turn off. To turn your iPhone back on, press and hold the Sleep / Wake button. Release the Sleep / Wake button when the Apple logo appears in the center of your iPhone’s display. Closing and reopening the Pandora app will give it a chance to shut down and try again the next time you open it. Think of it like restarting your iPhone, but for an app. If the app crashed, or if other software crashed in the background, Pandora might not load on your iPhone. To close the Pandora app, double-press the Home button. 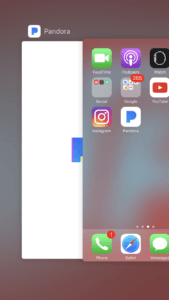 This will activate the App Switcher, which lets you see all the apps currently open on your iPhone. Swipe up on the Pandora app to close out of it. You’ll know the app is closed when it no longer appears in the App Switcher. If you’re using an older version of the Pandora app, you may experience some technical issues that could be fixed if an app update is available. App updates usually resolve software issues, so always make sure to keep your apps up to date. To check if an update is available for Pandora, open the App Store. Tap the Updates tab in the bottom right-hand corner of the screen to see a list of all of your apps that have an update available. If there’s a new update for the Pandora app, tap the blue Update button to the right of the app. iOS is your iPhone’s software operating system and if you haven’t installed the most up to date version, your iPhone may experience some software problems. iOS updates usually add new features, patch up software problems, or fix security issues. When there’s an update available, make sure to install it! To check for an iOS update, go to the Settings app and tap General -> Software Update. 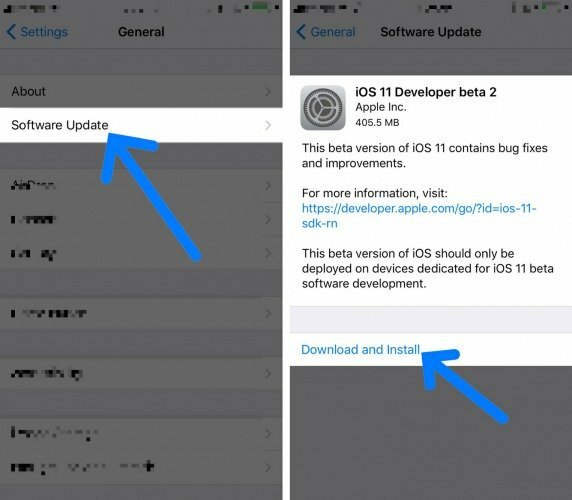 If your iPhone is software is up to date, you’ll see the message, “Your software is up to date.” on your iPhone’s display. If an update is available, tap Install Now. In order to complete the install of the iOS update, you’ll need to plug your iPhone into a charger or have 50% battery life. When the install is complete, your iPhone will reboot. Pandora still won’t work on your iPhone, you may need to uninstall and reinstall the app. It can be difficult to find the exact cause of an app issue on your iPhone, so rather than trying to track it down, we’ll delete everything and try again. Deleting the app from your iPhone will erase all of the app’s settings, so when you reinstall it, it will be like you’re downloading the app for the first time. To uninstall Pandora, lightly press and hold the app icon. Your iPhone will vibrate and your apps will begin to “wiggle.” Tap the “X” in the upper-left hand corner of the Pandora app icon. Then, tap Delete when you see the pop-up that says Delete “Pandora”? To reinstall the app, open the App Store. At the bottom of the display of your iPhone, tap the magnifying glass icon to switch to the Search tab. Next, tap the search bar at the top of the screen and type “Pandora”. Find the Pandora app, then tap Get and Install. The Pandora app will install, and hopefully it’ll be as good as new! And don’t worry — if you decide to uninstall the app, your Pandora account won’t be deleted! Do you use Wi-Fi to listen to Pandora on your iPhone? If you do, the problem may not be the app itself, but rather the Wi-Fi network you’re trying to connect to. Usually, Wi-Fi issues are software related, but there’s a small chance that there could be a hardware problem. Your iPhone has a small antenna that helps it connect to Wi-Fi networks. That same antenna also helps give your iPhone Bluetooth functionality, so if your iPhone has been experiencing Wi-Fi and Bluetooth connectivity issues, it may be the result of a hardware problem. However, at this point we can’t be sure, so follow the troubleshooting steps below to figure out if a Wi-Fi problem is the reason Pandora won’t load on your iPhone. Turning Wi-Fi off and back on is like turning your iPhone off and back on — it gives your iPhone a fresh start, which can sometimes fix minor software issues. To turn Wi-Fi off and back on, open the Settings app and tap Wi-Fi. Next, tap the switch next to Wi-Fi to turn it off. You’ll know Wi-Fi is off when the switch is gray. Wait a few seconds, then tap the switch again to turn it back on. You’ll know Wi-Fi is on again when the switch is green. If Pandora won’t load on your Wi-Fi network, try connecting to a different one. If Pandora works on one Wi-Fi network, but not the other, then the issue is probably being caused by your Wi-Fi network, not your iPhone. As I mentioned earlier, it can be difficult to track down a specific software issue on your iPhone. So, rather than track it down, we’ll just erase everything and give your iPhone a completely fresh start. When you reset network settings, all of your iPhone’s Wi-Fi, Bluetooth, and VPN settings will be erased to factory defaults. Before you perform this reset, make sure you’ve written down all of your Wi-Fi passwords! You’ll have to reenter them when you reconnect to your iPhone to Wi-Fi networks. To reset network settings, open the Settings app and tap General -> Reset -> Reset Network Settings. Enter your passcode and tap Reset Network Settings. Your iPhone will reboot when the reset is complete. If the Pandora app still won’t work on your iPhone, you may need to get it repaired. I recommend you schedule an appointment and visit your Local Apple Store to see if a repair is necessary. Pandora is working on your iPhone again and you can get back to listening to your favorite music. 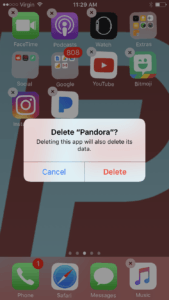 Now that you know what to do when Pandora won’t load on your iPhone, we hope you’ll share this article on social media with your friends family! Thanks for reading, and if you have any other questions about iPhone, leave a comment down below! Previous ArticleApps Stuck Loading On iPhone Or Waiting: The Real Fix For Updating Apps! Next Article How Do I Change Flashlight Brightness On iPhone? The Easy Way!